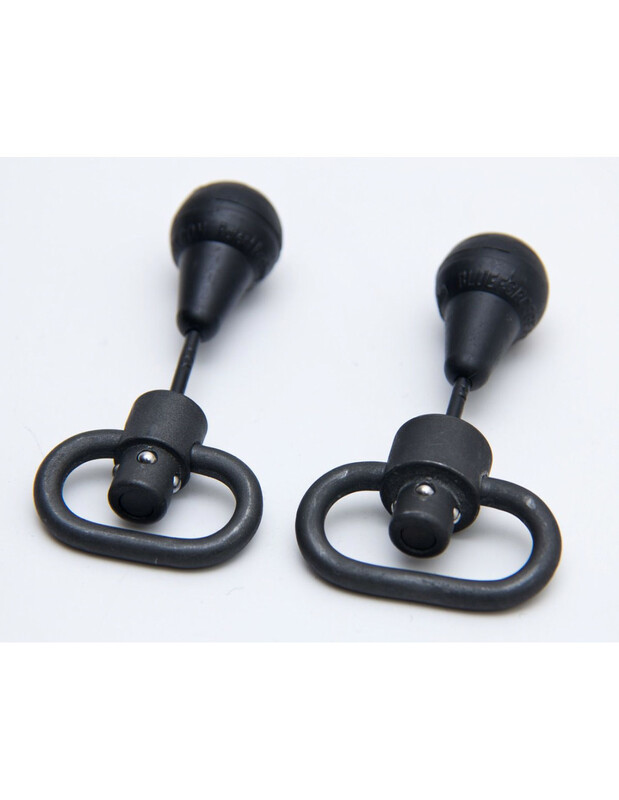 A great piece of hardware that takes the concept of a QR swivel, but works with the gross motor movement of a grab and pull instead of the push of a small button. Fits anywhere a normal QR swivel could go. The patent pending RED™ Swivel releases with a straight pull on the sphereo-conical knob instead of the fine motor operation of the "push-pull" of standard push button swivels. Only 7 pounds of force is needed to install or release the swivel however accidental release is minimized by the knob shape and angle of operation. A pull of more than 15 degrees off axis will not release the connection elminated the possibility of release if caught in vehicles, doorways, other gear, or brush. Just in case others were curious about it like me, no the end of the pull knob is not a button.